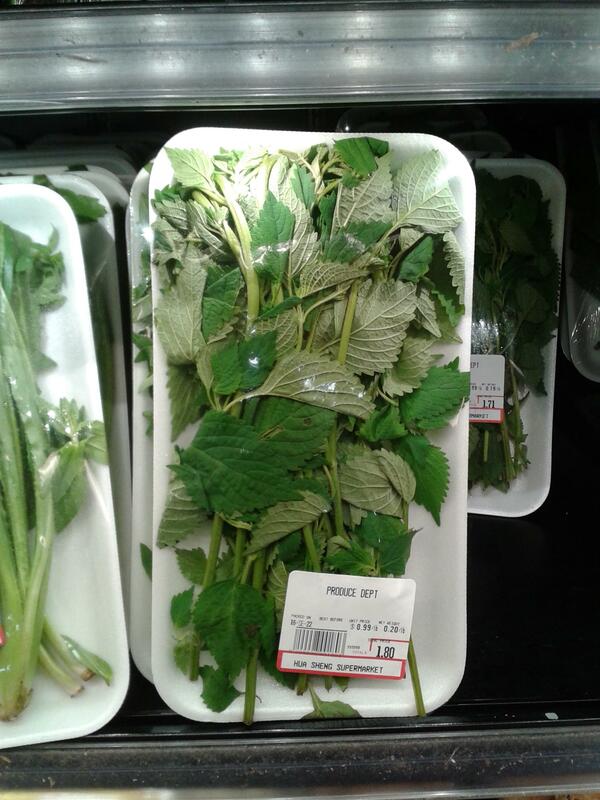 I found this herb in an Asian supermarket. The label didn't actually say what it was, and the clerks at the store didn't speak English well enough to ask them. My first thought was mint, but I would expect mint leaves to be more wrinkly than that. My second thought was holy basil, which would be a pleasant surprise as that's generally very hard to find. I looked at pictures of holy basil online, and it looks pretty close, although these leaves look a bit more pointy than in those pictures. Can someone identify the herb in the picture? I believe that is a picture of shiso. I think this is Bitter Leaf, renowned for its nutritional properties. For me it looks like nettles. But while I have eaten those in the past I have yet to see a store selling them, so I might be mistaken. Not the answer you're looking for? Browse other questions tagged herbs food-identification or ask your own question.